This grouping of hydrometers are not ASTM – but are enormously popular in the same applications as the ASTM 21 through 39H hydrometers. All are 165mm in length, graduated in 0.2 API divisions, and made to the same demanding tolerances as ASTM hydrometers. Approximately 190mm (7-1/2″) Length. Thermometer in body. Not ASTM designated, but made to similar specifications. Popular due to the smaller sample amount (approx 6 ounces) ounces needed to obtain a reading. 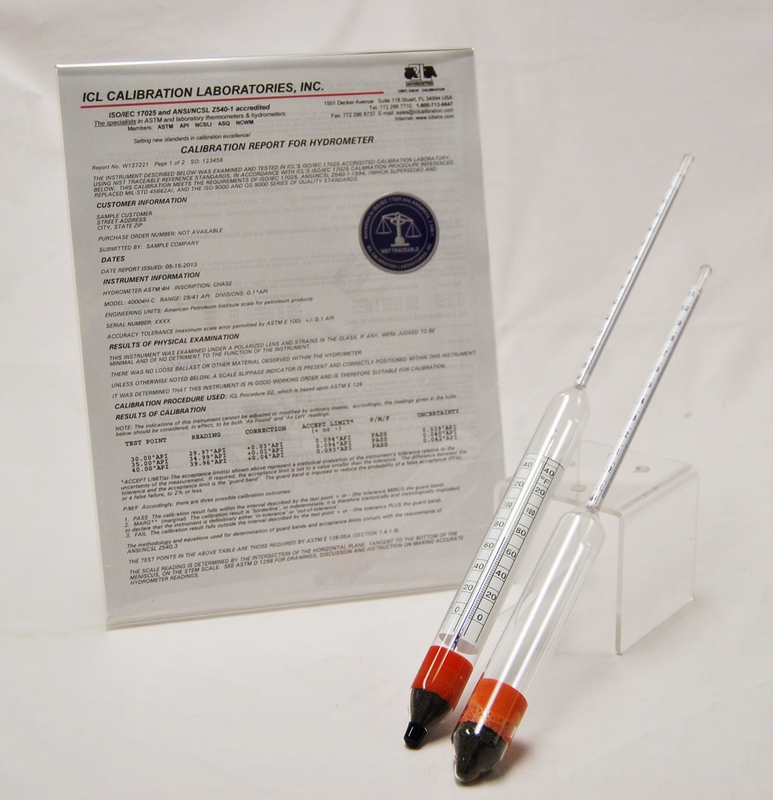 Made to the same demanding tolerances as ASTM hydrometers. Accuracy: +/- 1 scale division.